Protein phosphatase 2A (PP2A) is a family of serine/threonine phosphatases that regulate multiple cellular signalling pathways involved in proliferation, survival and apoptosis. PP2A inhibition occurs in many cancers and is considered a tumour suppressor. Deletion/downregulation of PP2A genes has been observed in breast tumours, but the functional role of PP2A subunit loss in breast cancer has not been investigated. PP2A subunit expression was examined by immunohistochemistry in human breast tumours, and by qPCR and immunoblotting in breast cancer cell lines. PP2A subunits were inhibited by shRNA, and mutant PP2A genes overexpressed, in MCF10A and MCF7 cells, and growth and signalling in standard and three-dimensional cultures were assessed. Expression of PP2A-Aα, PP2A-Bα and PP2A-B′α subunits was significantly lower in primary human breast tumours and lymph node metastases, compared to normal mammary tissue. PP2A-Aα and the regulatory subunits PP2A-Bα, -Bδ and -B′γ were also reduced in breast cancer cell lines compared to normal mammary epithelial cells. Functionally, shRNA-mediated knockdown of PP2A-Bα, -B′α and -B′γ, but not PP2A-Aα, induced hyper-proliferation and large multilobular acini in MCF10A 3D cultures, characterised by activation of ERK. Expression of a breast cancer-associated PP2A-A mutant, PP2A-Aα-E64G, which inhibits binding of regulatory subunits to the PP2A core, induced a similar hyper-proliferative phenotype. 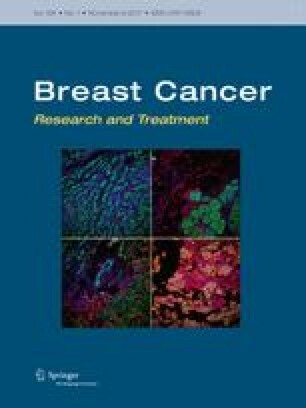 Knockdown of PP2A-Bα also induced hyper-proliferation in MCF7 breast cancer cells. The online version of this article (doi: 10.1007/s10549-017-4403-5) contains supplementary material, which is available to authorized users. We thank Prof Stefan Strack for PP2A constructs, Prof Roger Daly for MCF10A cells, and Ms Helen Carpenter for technical assistance. This work was supported by grants from the Cure Cancer Australia Foundation, the Pink Frangipani Ball, the Cancer Council NSW and the Hunter Medical Research Institute. LW was supported by an Australian Postgraduate Award, a University of Newcastle VC Award, and a Cancer Institute NSW Research Scholar Award. MDD and NMV were supported by Fellowships from the Cancer Institute NSW.